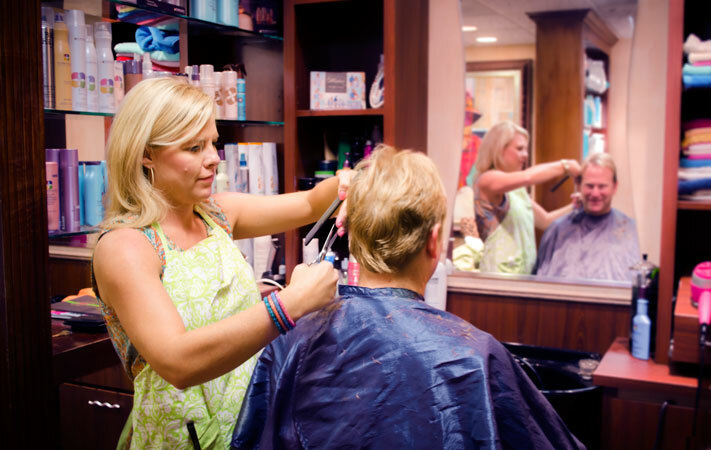 Visit Oasis Salon and experience professional salon services in an intimate and personal setting. Whether you're looking for the perfect cut and color, or customized skin care and waxing, our talented professionals are ready to assist you. Experience complete relaxation, as well as a great treatment for your skin. We will start your treatment with a deep cleansing, followed by extractions, and ending with a mask. A décolleté, neck and facial massage will help circulation to the face and upper body. You will be pampered to the fullest with a hand and arm massage, head massage, or foot massage... you pick two!! This luxury facial includes expert analysis. We'll start your treatment with a deep cleansing, followed by a smoothing exfoliation, extractions, and ending with a mask specifically selected for your skin's needs. You will also receive a face, neck and décolleté massage with this treatment. Breakouts have finally met their match. Our Medicated Clearing Treatment will focus on purifying your skin with deep cleansing, followed by extractions. This treatment is the ultimate in acne management because it targets current blemishes while helping to prevent future breakout activity. Professional chemical exfoliation removes the dulling, superficial dead skin cells to reveal the newer cells below. Your skin will be noticeably firmer, smoother, and revived. This treatment helps reduce sun damage and fine lines. *Chemical Peel results are best when done in a series. Treat your over-used hands to complete exfoliation and the hydrating mask while wrapped in warmth. Skin care should start early. Not only to prevent acne, wrinkles, and age spots but more importantly to help prevent skin cancer. We are here to help your teen through what can be a very difficult time when it comes to skin changes. We offer specialized teen services, skin care lessons (including product specialization), and make-up lessons. This treatment includes a deep cleansing, extractions, exfoliation and mask. This treatment will rid the skin of current impurities and help with future breakouts. Your teen will also be pampered with a facial massage to increase blood flow and circulation which helps the skin to heal from any actinic problems. This treatment includes a deep cleansing, extractions, and a mask. This treatment is recommended to maintain your teens ever changing skin conditions. This treatment is essential for any teen with acne on the back or chest. This treatment combines a deep cleansing, extractions, and a deep pore cleansing mask. This treatment will help rid your teens skin on its current impurities as well as prevent future breakouts. All treatments are customized to your teens skin. You may add a make-up or skincare lesson to any treatment for $10, separately $20. You may also add a skincare star-up kit a $40 value for only $30 with any teen service.